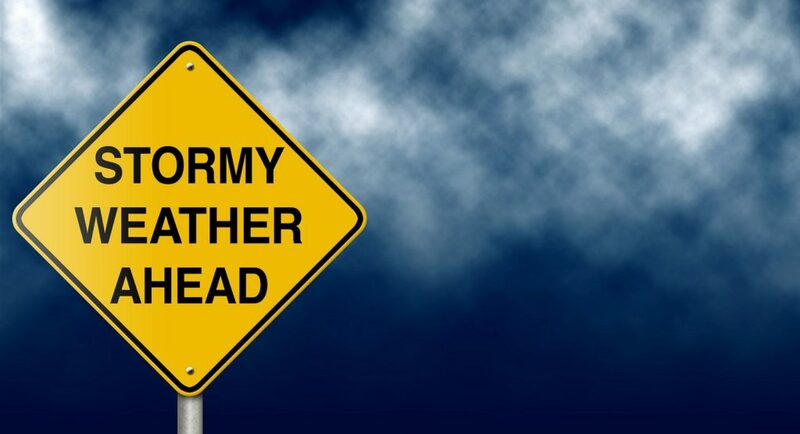 Surviving the Storm: Advice from Our Billing Manager – Accudata Service, Inc. I've got some bad news for you: Hurricane Season is right around the corner. While it didn't feel like it at the time, now I can't help but think we really dodged a bullet last year with Irma. Looking at what Maria did to the islands is a stark reminder of how powerful these storms can be. In South Florida we hadn't seen anything significant since Wilma and it was an eye-opener on how much had changed in 10+ years. Here at our office, we now have a city gas station across the street, which means we had power the very next day! We thought that was fantastic until we got here and had no internet, which meant no phones. You don't realize how dependent you are on the internet until it is gone. We were able to key billing, but not able to send claims. We ended up tethering cell phones to individual computers to send claims using cell phone data. It was slow-going, but it got the job done. Looking back at your post-Irma experience, what would you change? After Wilma we bought a generator (which we apparently no longer need), now we're considering a modem to tether cell phone data back into our network as a whole. In theory, that could allow us to have phones and be able to send claims - even when the internet stays down. There are also the logistical issues to think about. Were you able to get ahold of your patients who had appointments afterwards? Make sure you add printing an appointment list with phone numbers to you hurricane preparation plan. Were you able to bring your computer network back up easily, or did you have issues? Taking the computers apart tends to be the last thing we do before closing the office, so it gets done fast and sloppy and then we have a hard time getting it back together afterwards. Rather than rushing, why not take a picture of the back of each system beforehand so you know how everything will connect back together after the storm? Having these pictures is also very helpful in case you need to file an insurance claim. Does your phone service allow you to forward your incoming line to a cell phone? That can allow patients to get ahold of you even if your office lines are down, and may be a good way to be able to see patients after the storm passes. There are also the cash flow implications. We had clients who were closed for a week, and that was just for a Tropical Storm/Category 1 hurricane, depending on the location. Making ure you have a line of credit available is always a good ides, but there are things you can do to boost your income in advance of a storm. Depending on your specialty, the summer may be a great time to do your wellness visits for Medicare, or physicals for commercial insurance. With the snow birds gone, things are slower then anyway - take advantage of some of these extra services that Medicare will pay for. You can take a look at Medicare's Preventative Service options here to see what could help our practice. Here's hoping we have a quieter Hurricane Season this year... and if we don't, we will take advantage of the lessons learned from last year!